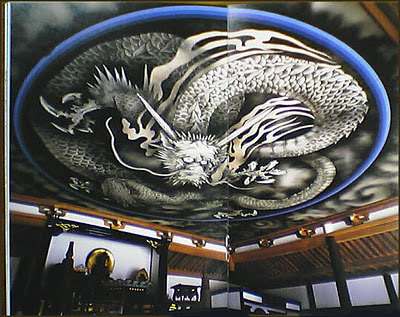 The naming might go back to the Shogun Ashikaga Takauji, who saw a golden dragon above the sky of the temple in a dream. 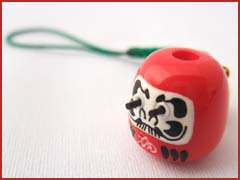 The dragon symbolizes the emperor Go-Daigo. according to the era name nengoo when it was built. is the head temple of the Tenryū branch of Rinzai Zen Buddhism, located in Susukinobaba-chō, Ukyō Ward, Kyoto, Japan. The temple was founded by Ashikaga Takauji in 1339, primarily to venerate Gautama Buddha, and its first chief priest was Muso Soseki. Construction was completed in 1345. As a temple related to both the Ashikaga family and Emperor Go-Daigo, the temple is held in high esteem, and is ranked number one among Kyoto's so-called Five Mountains. 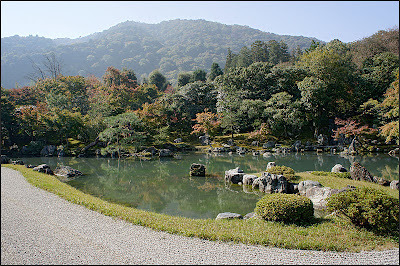 In 1994, it was registered as a UNESCO World Heritage Site, as part of the "Historic Monuments of Ancient Kyoto". In the early Heian period, Empress Tachibana no Kachiko, wife of Emperor Saga, founded a temple called Danrin-ji on the site of present-day Tenryū-ji. 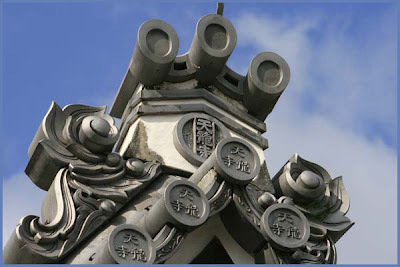 The temple fell into disrepair over the next four hundred years. was also selected due to the shape of Mt. Ogura. 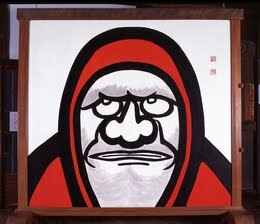 If you peek into the hole at the head, the ceiling painting of the dragon will appear.
. "Daruma with protruding eyes" .
. Daruma painted by Seki Bokuoo .